Elements For A Healthier Life is community of contributors writers sharing their passions, life experiences and knowledge with individuals with a desire to live a life in motion. Our contributor writers are heart-centered coaches (health, life, business, marketing), business professionals, yoga instructors, women and men who have been-there-done-that and truly want to help someone in the early stages of a similar journey. Our messages convey compassion, encouragement and tools to expand self-love. We publish nonfiction stories of transformation, professional insights, pearls of wisdom, helpful kitchen tips and healthy recipes. 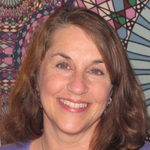 Joni Advent Maher, MSW is a Spiritual Feminist, Podcast Priestess and Sacred Feminine Coach. 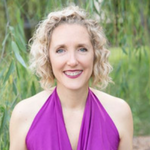 She supports women in creating more ease and empowerment in their relationships, finances, businesses and lives through soulfully embodying their unique Feminine Essence. You can follow her on ITunes at Trust Your Sacred Feminine Flow, on Facebook at Sacred Feminine. Jen Flick is a New York Times and Amazon International Bestselling Author. Her writings are included in: Eat Pray Love Made Me Do It, Cultivating Joy, and 365 Moments of Grace, just to name a few. Visit JenFlick.com to learn more about Jen and her work. Donna Genovese is an intuitive healer, speaker and writer. She’s been a guest on radio shows including Souls Journey and Blog Talk Radio, speaking about her work and her healing journey from child abuse. Donna has walked through fires and reclaimed her authentic self. Donna is a Poet Seer and channels, poems and inspirational messages from Spirit, sharing them on her Facebook page: Magical Inner Child. She is working to publish her poems and life story to inspire others to heal. Cindy (C.K.) Kochis is a writer; it’s what she does. 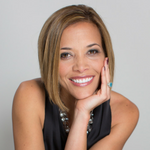 She utilizes her Integrative Nutrition Health Coach education to guide women at the edge of awareness to ignite self-love through the power of their words. Cindy transformed ElementsForAHealthierLife.com to provide a platform for coaches and leaders to share pearls of wisdom and professional insights. Author of “Get A Compass Not A Clock” and “UnLeash Your Story: A Journal Writer’s Guidebook”. Explore Cindy’s services at CKKochis.com. Tae Lynne is an international best-selling author of Green Smoothies to the Rescue and a collaborative author in two best-selling collaborative books. Forced to slow down by chronic illness, Tae discovered her true purpose as the Kindness Junkie. She shares her journey of loss, healing, and motivation on her blog at 60SecondsToKindness.com. She lives outside of Philadelphia, PA with her partner and dog. 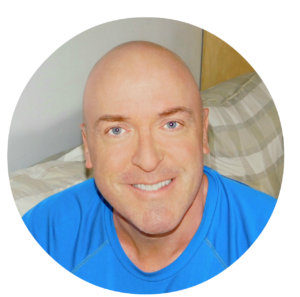 Eddie Mullins is a spiritual teacher of deep infinite spiritual consciousness, awareness, and peace through stillness, grace, love, and presence. He embodies a spiritual foundation of living from the origin of love, shamanic wisdom, enlightenment, and the infinite source God consciousness. Explore EddieMullins.com for insights, healing sessions, mentoring, courses and access Eddie’s podcasts. Debra Oakland is known as “The Living in Courage Advocate.” She is an advocate for health and well-being and a self proclaimed ‘foodie’ who has been cooking since she was a youngster. Debra is the author of the 2016 bestselling book “Change Your Movie, Change Your Life: 7 Reel Concepts for Courageous Change”. Drop by DebraOakland.com and say hello! Jenn Ryan is an urban farmer and perennial garden enthusiast, mixed media artist, yogi, mead maven and staff at an advocacy center for folks wrapped up in the criminal justice system. As life is both beautiful & devastating, she aspires to cultivate a life of simplicity, focused on good health, good works and #lovelovelove. She lives in Northern Michigan with her partner and dog-daughter, Ruby. Jenn’s artwork is available at Etsy.com/shop/TheJennCard. We are professionals and storytellers sharing our insights, pearls of wisdom and personal experiences.